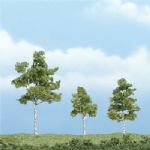 Our Realistic Tree Kits teach you to easily make unique deciduous or pine trees ranging from 3/4"-8". 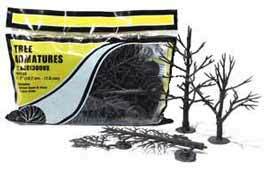 Simply bend and twist the armature's branches in the shape you want. Apply Hob-e-Tac® and wait 15 minutes until it is clear and tacky. 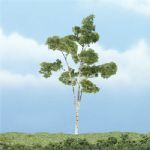 Then dip into, or press, foliage onto branches. 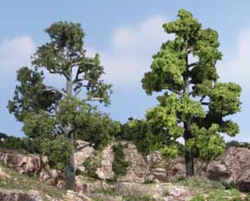 Kits WTR1111 and WTR1112 include a sample of Fine-Leaf Foliage. 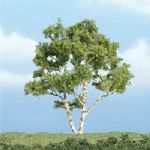 You can use these foliage materials to make a large variety of trees for your layout: Underbrush, Bushes, Clump-Foliage, Foliage Clusters, Lichen, Foliage, Fine-Leaf Foliage, and Poly Fiber .